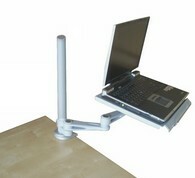 Transform your desk or wall into a sit to stand laptop workstation. 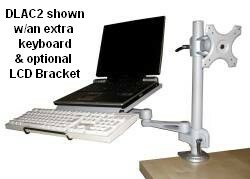 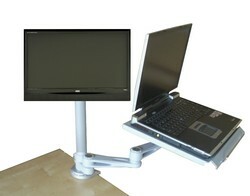 Optional D-LCD35 monitor bracket shown below. 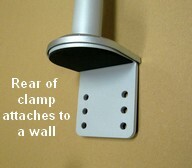 Use the clamp for a desk or the vertical part of the clamp to attach this item to a wall. 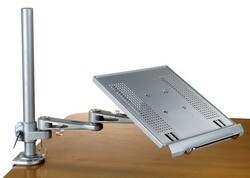 - Pole Diam. 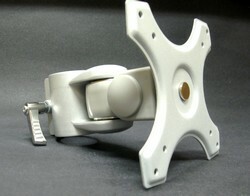 : 35 mm. 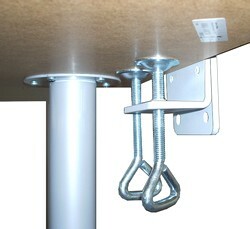 - Ideal free edge overhang needed for desk clamp 3.5"
- Desk clamp opens to 4 1/2"